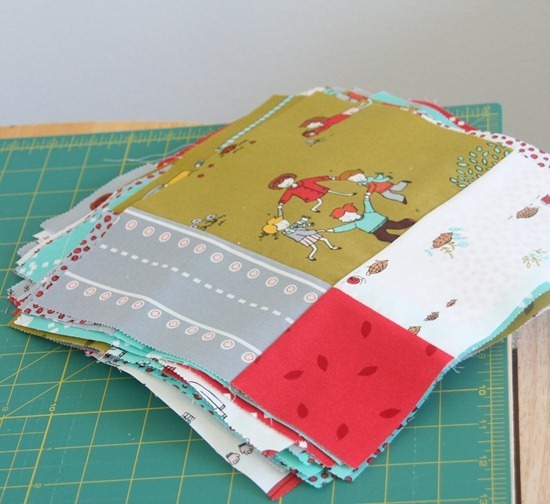 …yields 42 cute-as-a-button blocks ready to be sewn into a quilt top. I'm not quite understanding why there is a pattern for this – isn't it just a disappearing nine patch? Great choice for these blocks! It will show off the little scenes perfectly! Being a beginning quilter, I am very impressed by your timeline. And they turned out so cute! Very cute! I'm impressed with your speed. I'm loving this line. It has the same cute factor as Sherbet Pips but more boyish, IMO. Cant wait to see it finished! Wow! If you have any tips on doing this so speedily that you can share, I would love to hear them. I have a 4 yr old and an 18 month old so I'm all about doing things in the 1 hour nap time window, like you! Love your fabric choice too. Love it! 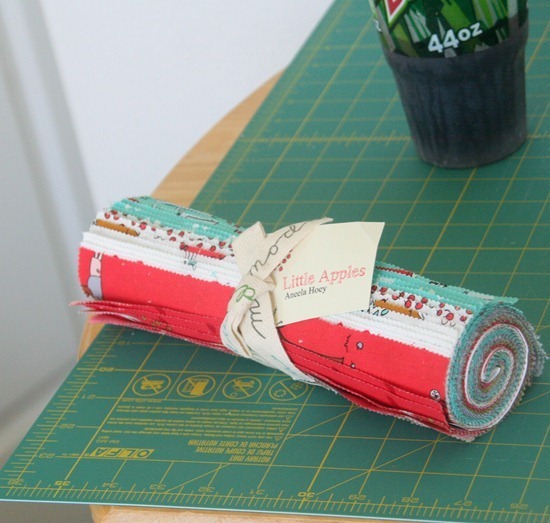 This is great…and the fabric is soooo cute! I love this fabric. So cute! And I love disappearing nine patches too! How great is that! Me, I would need at least triple that time (and the drinks and the bathroom breaks) to get to the "Yeah I'm done cutting the pieces" stage! You go girl! Very cute and impressively fast! Man, your one hour of free time yields considerably more than any of mine ever do! Perhaps that's because I just might be, possibly, the tiniest touch lazy. ;-) I am in awe! 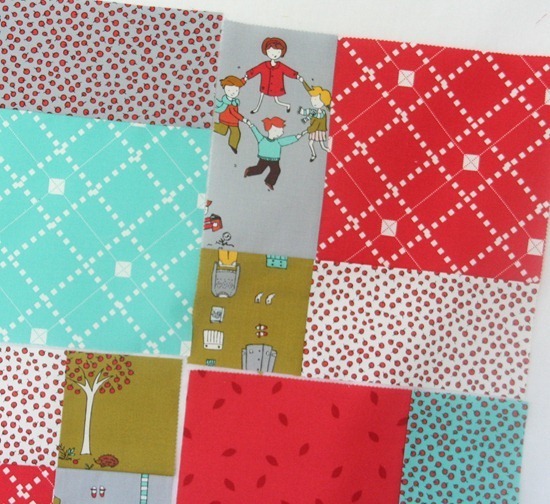 Love that fabric AND the block! Cute! I don't know how you crammed that into an hour. I guess I need more practice! Look forward to seeing your blog update emails. I need to purchase this pattern as well. pattern. :o) Everyone should make one! The makings of a very nice quilt! Whoa mama! you are FAST!! No wonder you needed that drink. Also I would love to know how my fabric looks so much better in your house than it does in mine??! I am sure you forgot to mention the santas helpers— 1 hour? Wow! That's what I like to hear- A quick quilt. Time is limited when you have little ones. I can attest to this pattern being quick! it sure is! and @ tiffany…there is a pattern to this as it is not a traditional disappearing 9 patch method…it's totally fun! OK Allison…. got the layer cake today, going to start to cut soon… I hate making the first cut. I'm going to pull out all the "cute" scene fabric and cut them last….. I'm going to try my hardest to keep the cute little ones in tact. Wish me luck!! !